NO ON-SITE REGISTRATION. REGISTRATION IS NOW CLOSED. 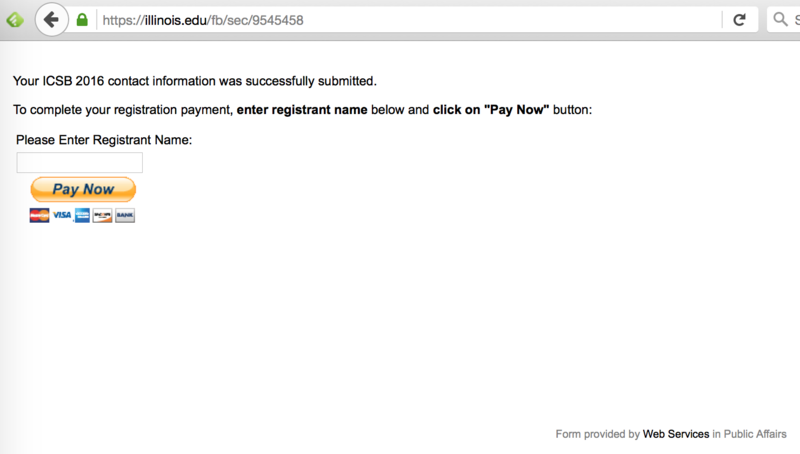 IMPORTANT: Your registration is not complete until you have completed payment. 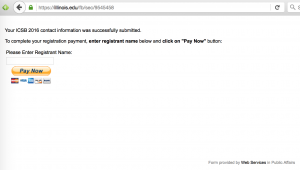 Filling out the registration form before the early registration deadline but paying for registration on or after the early registration deadline will result in the late registration rate. A full refund, less a 10% processing fee + any bank transfer fees, will be honored for cancellations requested by 1 May 2016. No refunds are allowed after this date. Conference attendees from countries with emerging economies may be eligible to register at the Student Rate, subject to prior approval of the 2016 ICSB Chair, David Culver. Please contact David Culver at dculver@american.edu for details. At this time, we are unable to accommodate partial week or by-the-day registrations. For all questions regarding registration and payment, please contact Steve Taylor at steve@cavelife.org. For all questions about presentations and the program schedule, please contact Daniel Fong at dfong@american.edu. 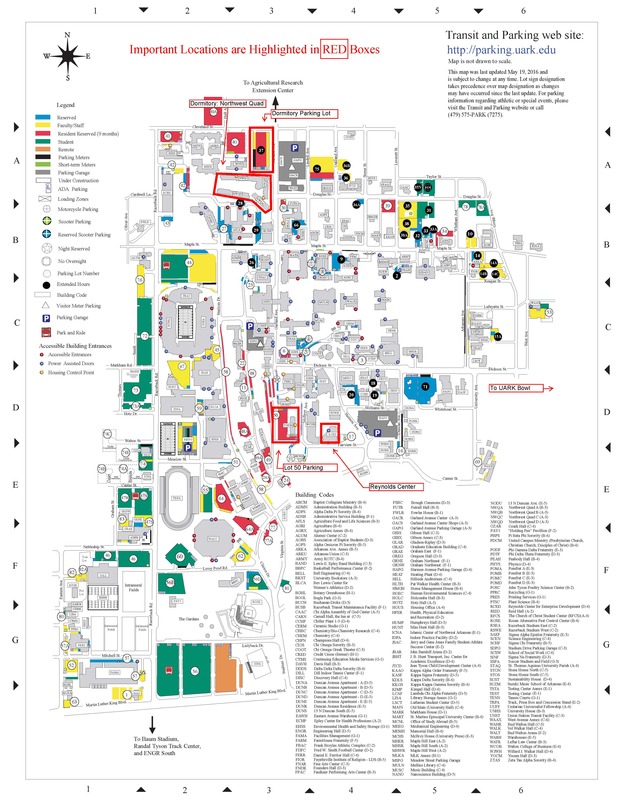 For information regarding accommodation options during the conference, please visit the Accommodations page. Snacks and beverages during morning and afternoon sessions breaks on Monday, Tuesday, Thursday, and Friday. 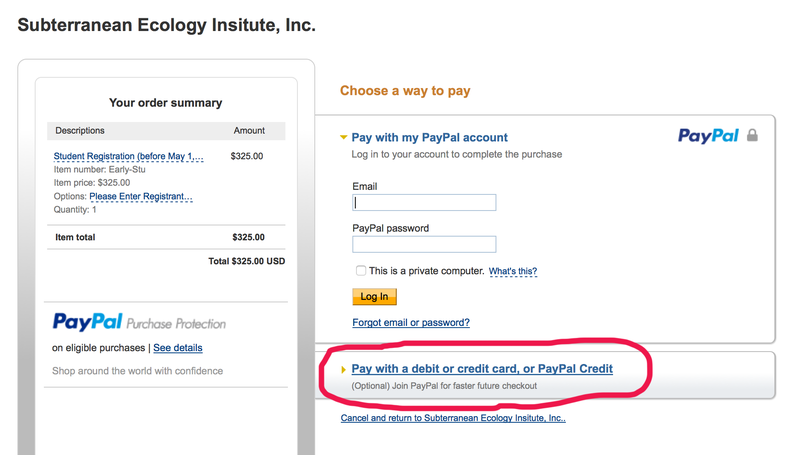 When you get to the first PayPal webpage, enter your full name in the box, and click the “Pay Now” button. On the next webpage that loads, click on the link in the lower right (circled in RED). 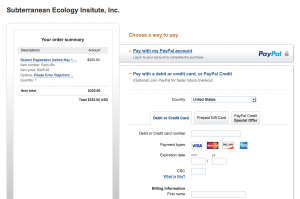 The next webpage then allows you to proceed with entering your credit card information. 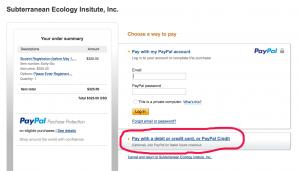 You do not need a PayPal account to enter your credit card information and complete payment.